Who doesn’t love a Tunic Dress sewing pattern? What is not to like? It is the quintessential garment of nearly all time. 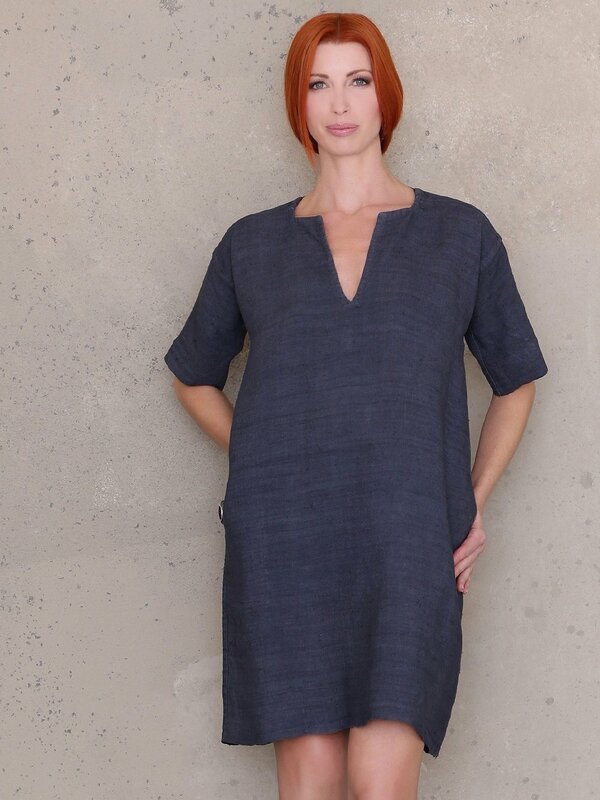 Since its launch last year, the Ann Normandy Design Short Sleeved Tunic Dress Sewing Pattern has quickly become a best seller. With its signature square and v neckline and loose fitting silhouette, it is a dress sewing pattern that you can wear any season. 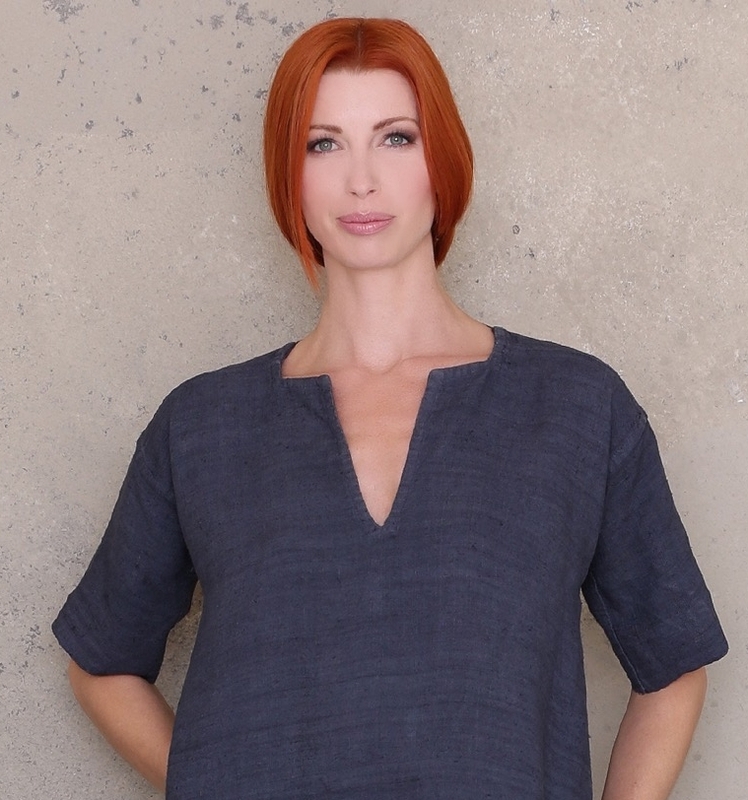 Designed for heavier linen or natural linen blends for a great drape and comfort. Flat felled seams give the garment additional weight and stability throughout. Heavier linen fabric is recommended, but you could easily use other heavier woven fabrics, such as denim, wools and wool blends for fall and winter. Even silk shantung with a lining would make a beautiful version of the Ann Normandy Design Short Sleeved Tunic Dress sewing pattern. Ann Normandy Design Short Sleeved Dress Sewing Pattern, back view. Sewn with reclaimed antique handwoven linen from Germany. The sleeve can be modified to the trending bell sleeve. The dress can be lengthened into a chic, long, caftan styled dress, with plenty of room for movement. Shorten it to create the perfect tunic top for any season. Create a center front seam, add a seam allowance and split the front to create a coat or jacket. Stay tuned for fabric suggestions and styling ideas! The Pant PDF Sewing Pattern is here!